Damith Hettihewa has over 24 years of experience in Telecom, ICT, Banking Industries and FMCG. 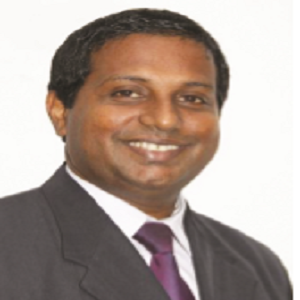 He is a chartered engineer graduated from University Moratuwa with a BSc (Eng.) degree in Electronics and Telecommunications and obtained his MBA from University of Hull UK. He had a short tenure at Unilevers followed by Nestle Lanka Ltd. He started his engineering career at Sampath Bank PLC as a Systems Engineer followed by PillPos Software London UK, Millennium Information Technologies (MIT), Dialog Axiata PLC, FITIS, Presidential Secretariat and Mobitel Pvt Ltd. He currently serves as the Chief Executive Officer of Informatics Pvt Ltd.
Damith is the winner of “Peoples Leader – IT “award by Institute of Personal Management (IPM) Sri Lanka in 2017. Currently serves as the Secretary of Computer Society of Sri Lanka (CSSL) and he is the founder President of Moratuwa – Peradeniya Engineers ‘Reunion. He served in Presidential Task Force on English and IT and Knowledge Hub Steering Committee. He had his primary and secondary education at Richmond College. Damith is a university couloursman in Athletics, Cricket and Rowing and represented Sri Lanka Universities in athletics at World University Games in Sheffield UK in 1992.